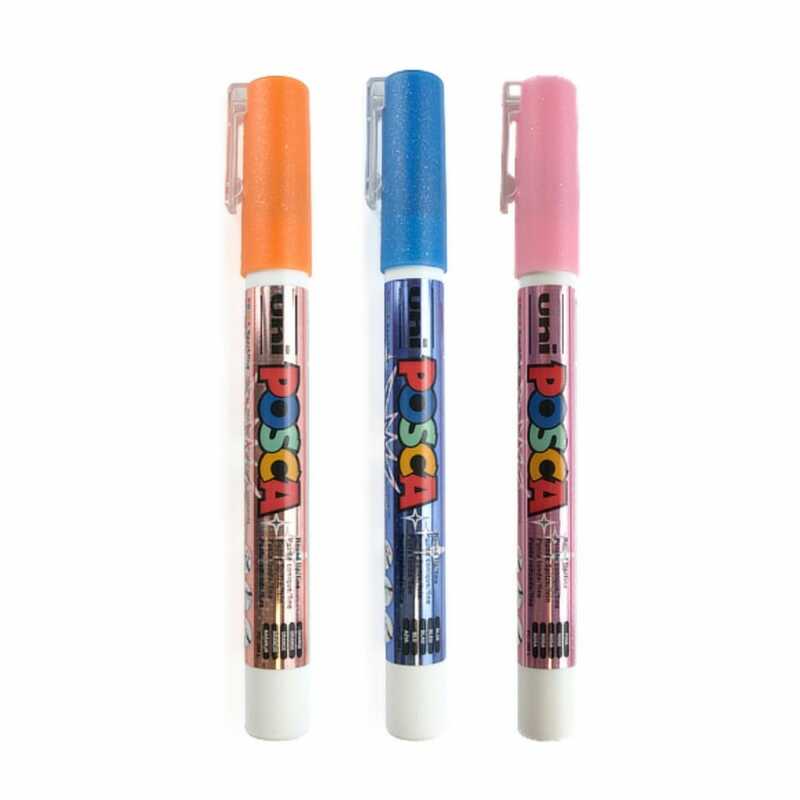 Uni-ball Posca Pens – Great for use in the home, at school and for the professional. Posca pens can be used to decorate countless surfaces giving permanent results on porous surfaces, and the flexibility to remove and re-create your designs on non-porous surfaces. Permanent on absorbent surfaces such as wood, paper, card, cork and polystyrene. Uni Posca Paint Markers are a very versatile tool, combining the rich opaque colour of poster paint – with the accuracy and convenience of a marker pen. Posca Pens are available in a wide range of colours with a choice of 7 nib styles – from Extra Fine, to Brush to Chisel. There is a dedicated POSCA website for the latest news, information and workshops. Uni Posca Paint Pens can be used on a huge variety of surfaces - click here for a PDF on extensive tests on 55 different materials showing permanence and compatibility.